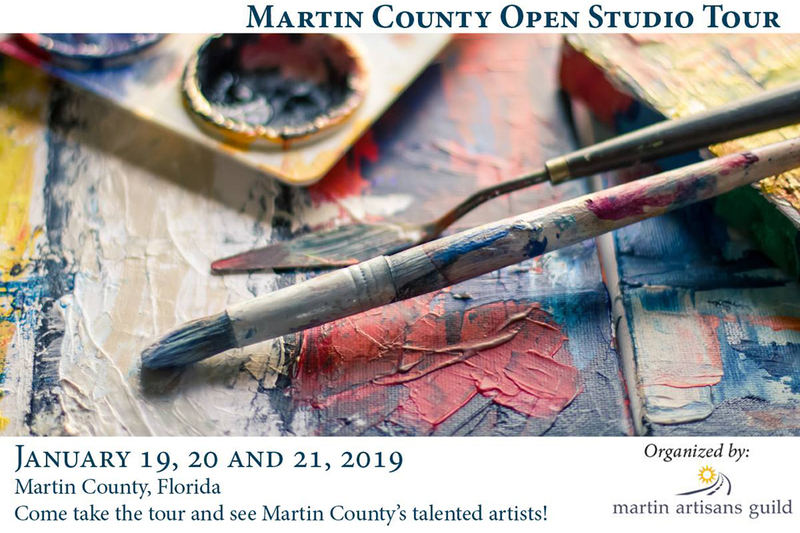 The Third Annual 2019 MARTIN COUNTY OPEN STUDIO TOUR is scheduled for January 19, 20 and 21. The launch events for the tour were celebrated January 10-12th, 2019 with The Martin Artisan Guild hosting the Open Studio Tour Preview Exhibit and Gala. The public, as well as participating artists and guests, were invited to attend the tour Launch on Thursday evening, January 10th. Artists and their Collectors, as well as our Supporting Sponsors, were invited on Saturday evening, January 12th to attend the VIP Gala at The Geoffrey Smith Galleries, 4545 SE Dixie Hwy. Stuart, Florida in Port Salerno. Guests were greeted with a sampling of original artworks as well as delicious appetizers, fine music by Al & Lindsay Hager & Company, open bar, and beverages. The preview events were held to offer the public a sampling of art that will be presented during the actual OPEN STUDIO TOUR. Participation in the tour provides a wonderful opportunity for the community to experience the process of making art and interacting with the artists in their “private working spaces”. 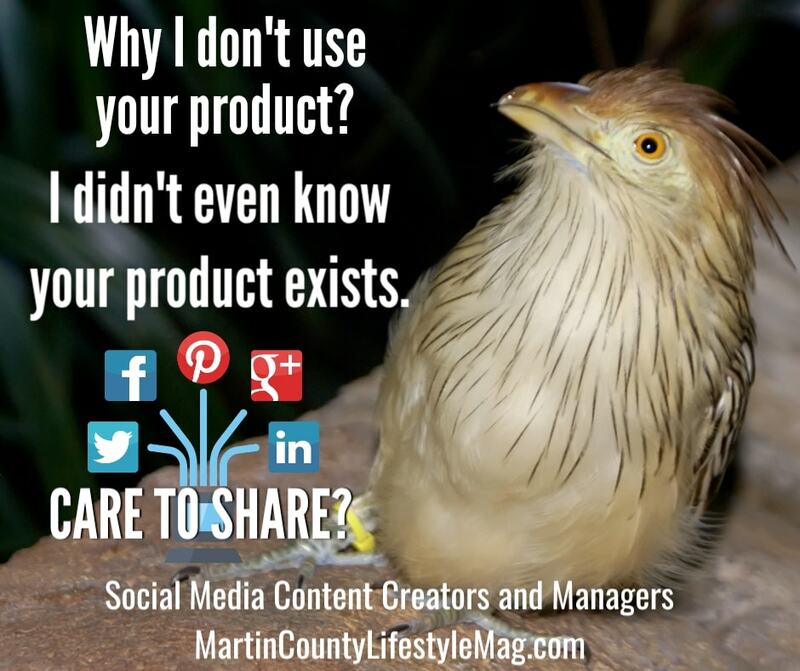 More information is available on the following media sites: MCOST.org., Facebook, Instagram, and a free downloadable phone APP; Martin County Open Studio Tour. We wish to graciously thank all of our sponsors including: Eduardo Gomez Sculpture, The Frugal Framer, Geoffrey C. Smith Galleries, Women Supporting the Arts, The Arts Council of Martin County, Tilton Road Dog Retreat, Visionary School of Arts, Grand Banks Yachts/Palm Beach Motor Yachts, Red Barn Furniture, Kling Gallery Wine & Décor, Stuart Art Supply, The Rickie Report, Aya Fiber Studio, Junk Dog Salvage, Manero’s Restaurant and Bar, Tom Grissman Photography, Jane Lawton Baldridge Creative, Lighthouse Art Center and Hobe Sound Fine Arts League . We also wish to thank the Martin Artisan Guild board members who devoted endless hours of time to organize this year’s event including: Suzanne Connors, Mallo Bisset, Eduardo Gomez, Neil Capozzi, and Lorrie Goss. This year’s tour has expanded to 3 days; Saturday, January 19th through Monday, January 21st. Studios will be open from 10 am- 5 pm daily with a few studios not open on Monday. Tour guides and maps will be available in all the 23 studios from Hobe Sound to Jensen Beach. It's not a secret that if you want your business to do well online you have to establish an online presence where customers are most likely to discover your business, you have to create great content for the web, and you have to share your content on multiple media platforms. Most small business owners have to wear many hats, and staying up to date with social media can feel overwhelming, if not impossible. We can help you with your business marketing on social media. We create social media content and manage social media business accounts.